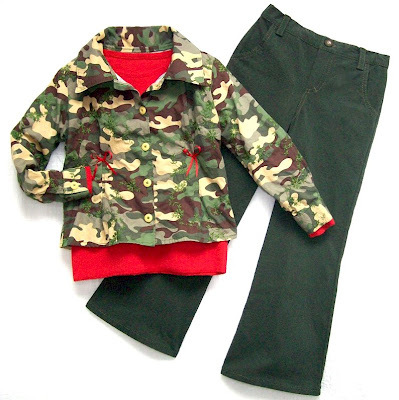 I just couldn't resist this embroidered camo fabric...so perfect for my niece, Bella! So I made it up into this cute shirt after making some changes to an Ottobre Design pattern, adding front and back tucks at the waist. I just happened to have some distressed olive denim in my stash for jeans from a hand-drafted pattern. I added a red knit T-shirt (also hand-drafted) as a layering piece to brighten the look. 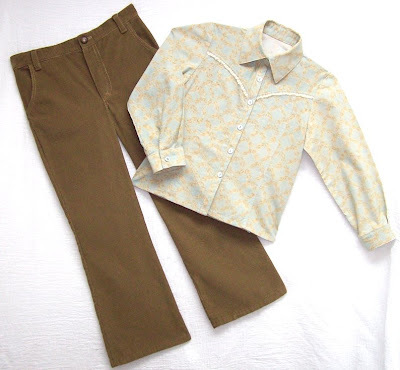 This "mod" print cotton shirt (above) and the aqua print shirt (below) were made from the same BizzKids pattern, for my niece, Willow. Both the black denim and tan cord jeans were made from a hand-drafted pattern. 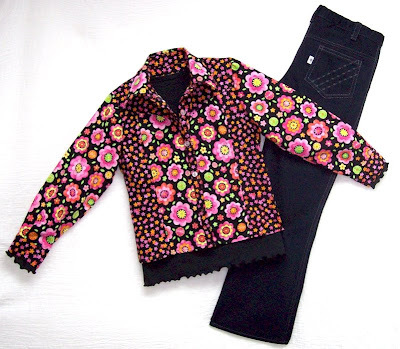 everything is gorgeous, but i especially love the mod print...love the bright colors with black! Just darling! Your eye is flawless. Can I be your niece? These are gorgeous. Where did you get that camo fabric? Please let me know---I absolutely LOVE it! !